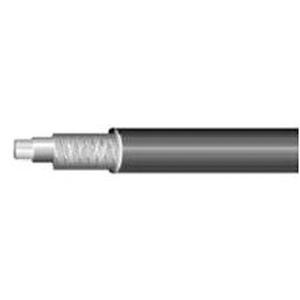 Omni Cable 14-AWG RG59 RG-6 RG11 Coaxial cable has aluminum foil shielding to reduce electrical noise from affecting the signals. Bare copper/tinned copper/copper covered steel/aluminum cable has PVC jacket to withstand harsh environmental conditions. This 0.28-Inch foamed polyethylene insulation resists electrical leakage and offers protection against environmental threats. Cable has outside diameter of 0.4-Inch. It has capacitance of 16.2 pF/ft. Cable is ideal for 75-Ohm video distribution application. Cable is UL listed.